Dental Getaways (of Restored Beauty Getaways) is an organiser of your medical procedures overseas. Other than making information from third parties available to you, introducing you to third party providers of goods and services. Dental Getaways (of Restored Beauty Getaways) is not itself providing you with any goods or services in the capacity of a principal. Except for arranging your medical procedures, Dental Getaways (of Restored Beauty Getaways) does not itself supply or provide you any other goods or services. It is not itself a transport, accommodation, tour, event or medical service or product provider. 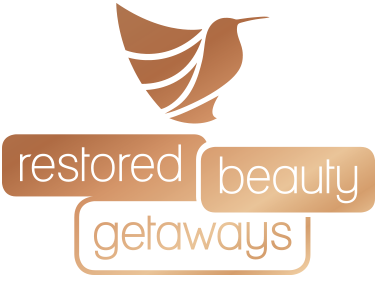 Third parties independent of Dental Getaways (of Restored Beauty Getaways) provide those goods and services to you. It is therefore important for you to obtain and read the service providers terms and conditions applicable to the goods or services they provide and make sure that you are aware of any exclusions or limitations of liability imposed by the service provider. Some of these may limit or exclude liability for death, personal injury, delay and property loss or damage. Third party principals, not sub-contractors to Dental Getaways (of Restored Beauty Getaways) provide all goods and services to you (including tours, travel, activities, meals, consultations, operations and procedures). Dental Getaways (of Restored Beauty Getaways) is the mere agent of the supplier of those goods and services and does not make any express or implied representation or warranty that any goods or services supplied by third parties to you will be fit for your required purpose or supplied by them with reasonable care and skill. To the extent permitted by law, Restored Beauty Getaways excludes all liability for any loss or damage whatsoever and howsoever arising (including but not limited to physical and psychological injury and loss or damage to property of whatever nature) that may arise in any way in connection with the offer or supply of goods or services by or through Dental Getaways (of Restored Beauty Getaways) or any third party service provider or in connection with the supply of such goods or services. You release Dental Getaways (of Restored Beauty Getaways) and its officers and employees from all such liability and indemnify each of them severally against any such claims that may be made by or through you. Dental Getaways (of Restored Beauty Getaways) nor any of its officers, employees or directors are doctors, dentists or otherwise are qualified to provide information in relation to any medical procedure. You acknowledge and accept that Dental Getaways (of Restored Beauty Getaways), or any of its officers, employees or directors has not offered any advice or expressed any opinion that a reasonable person would consider as being an advice or opinion in relation to any medical procedure (including with respect to any risks, side effects or otherwise). Dental Getaways (of Restored Beauty Getaways) does not accept any liability of whatever nature for the acts, omissions or default, whether negligent or otherwise, of tour operators, airlines, hospitals, doctors, clinics, dentists, hotels and other providers of goods and services to you directly or indirectly in connection with any trip organised by Dental Getaways (of Restored Beauty Getaways) on your behalf. Dental Getaways (of Restored Beauty Getaways) does not accept any liability in contract or in tort for any injury, damage, loss, delay, additional expenses or inconvenience caused directly or indirectly by force majeure or other events which are beyond our control, including but not limited to war, civil disturbance, terrorist attack, fire, flood, acts of God, acts of Government or of any other authorities, accident to or failure of machinery or equipment or industrial action, or which are not preventable on our part. Except for any condition or warranty implied by law which cannot be excluded, Dental Getaways (of Restored Beauty Getaways) makes no statement, representation or warranty that any goods or services supplied by third parties will be fit for your required purpose or supplied by them with reasonable care and skill or as to the safety, conditions, standards or other issues that may exist at any destination or service provider. If the Trade Practices Act 1974 (Cth) or any similar law implies a condition or warranty that cannot be excluded, the liability of Dental Getaways (of Restored Beauty Getaways) for a breach of the condition or warranty will be limited as determined by Dental Getaways (of Restored Beauty Getaways) in its absolute discretion to (a) in the case of goods, any one or more of the following (i) the replacement of the goods or the supply of the equivalent goods or (ii) the payment of the cost of replacing the goods or of acquiring equivalent goods and (b) in the case of services (i) supplying the service again or (ii) the payment of the cost of having the services supplied again. You acknowledge that any medical advice, procedure or other service that you ask Dental Getaways (of Restored Beauty Getaways) to book on your behalf carries risk. For example, the advice may be incorrect, the procedure may not be successful or may cause injury or have side effects. You further acknowledge that standards of medical advice, procedures and care generally outside Australia may be different to Australian standards and in some cases, they may be lower. Accordingly, without limiting the more general provisions of this disclaimer, you specifically represent and warrant to Dental Getaways (of Restored Beauty Getaways) that (a) you have obtained or been advised by Dental Getaways (of Restored Beauty Getaways) to obtain independent medical advice from a appropriately qualified medical practitioner in relation to any medical services that you have asked Dental Getaways (of Restored Beauty Getaways) to book on your behalf (b) Dental Getaways (of Restored Beauty Getaways) has not given you any advice or expressed any opinion that a reasonable person would consider as being an advice or opinion of a medical nature (including with respect to any risks, side effects or otherwise) (c) even though Dental Getaways (of Restored Beauty Getaways) may have provided information regarding the availability of medical services or booked medical procedures, products or other services on your behalf, Dental Getaways (of Restored Beauty Getaways) takes no responsibility whatsoever and excludes all liability for the actual medical services provided and (d) You accept and are solely responsible for these risks and will not hold Dental Getaways (of Restored Beauty Getaways) or its officers or employees responsible in any way you use those services solely at your own risk. Dental Getaways (of Restored Beauty Getaways) strongly recommends that you seek medical advice before you travel, take out travel and medical insurance and disclose all relevant matters to your insurer (including the fact that you may be undertaking elective surgery as part of your travel). The package prices provided are for planning purposes only. Eligibility for these packages can only be established after the patient has been examined by the hospitals/clinics physician. These packages are for uncomplicated routine cases and other charges may apply as noted in the package description. It is important that you read the package information carefully to ensure that you are aware of any medical conditions which are considered complex or high risk and therefore will not qualify the patient for the package. The partner hospitals/clinics physician will be the only person who can decide whether you can make use of the package offered. We would recommend that you bring (or have available) additional funds for any contingencies such as extended hospital stay due to procedure complications and any other related expenses that may arise from such a complication.